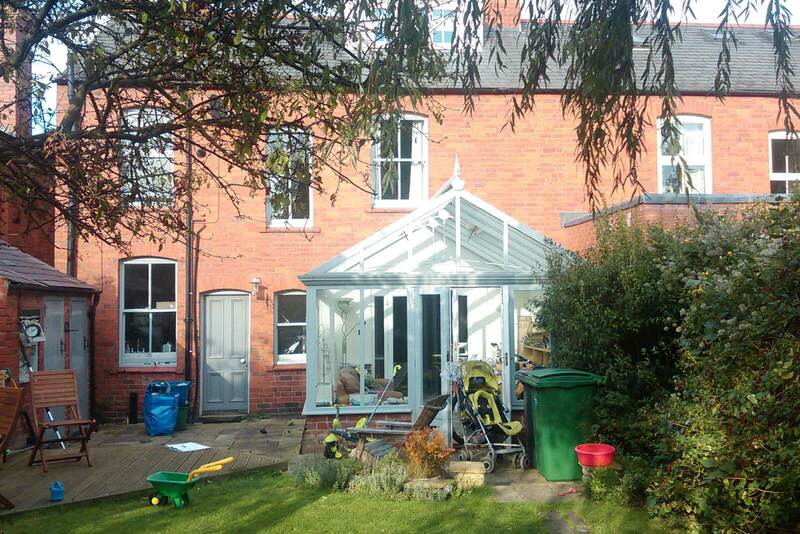 This project involved a single storey extension to this period property in a conservation area. 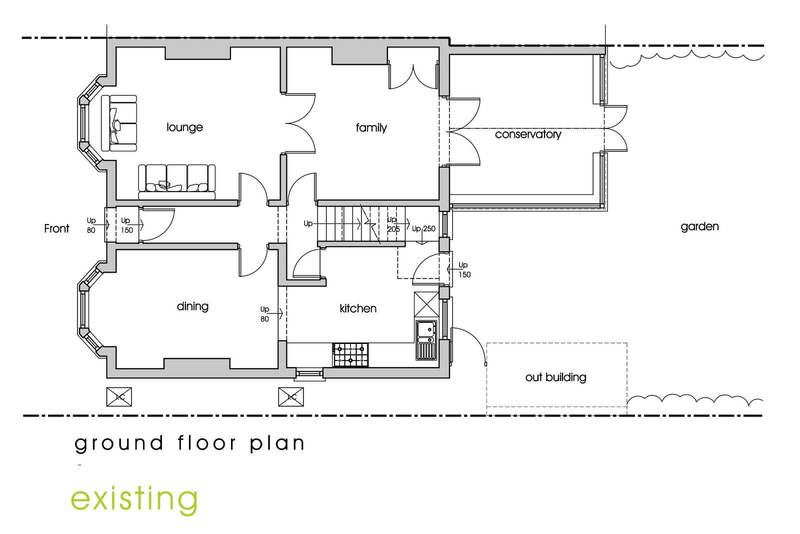 They requirement was to replace the conservatory (familiar storey) with an open plan kitchen / dining, while creating a utility and wc to ease family living. 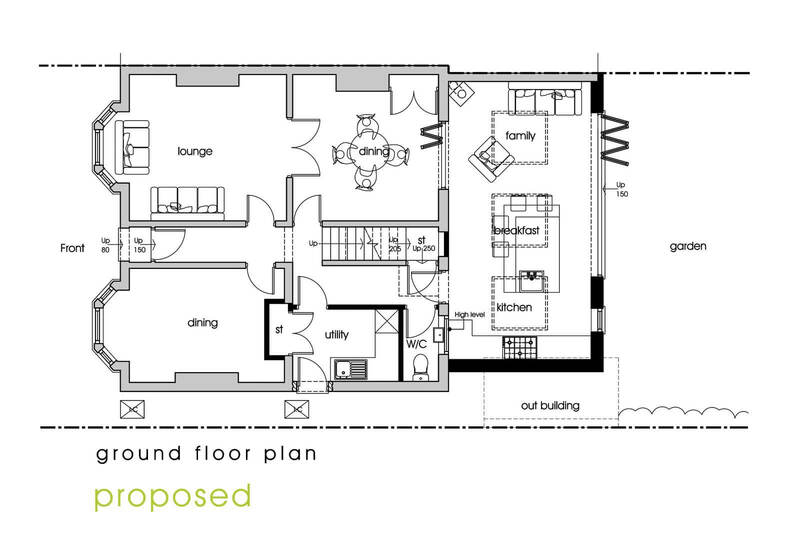 A standing seem roof was required to get a low enough pitch to get under the first floor window cills. 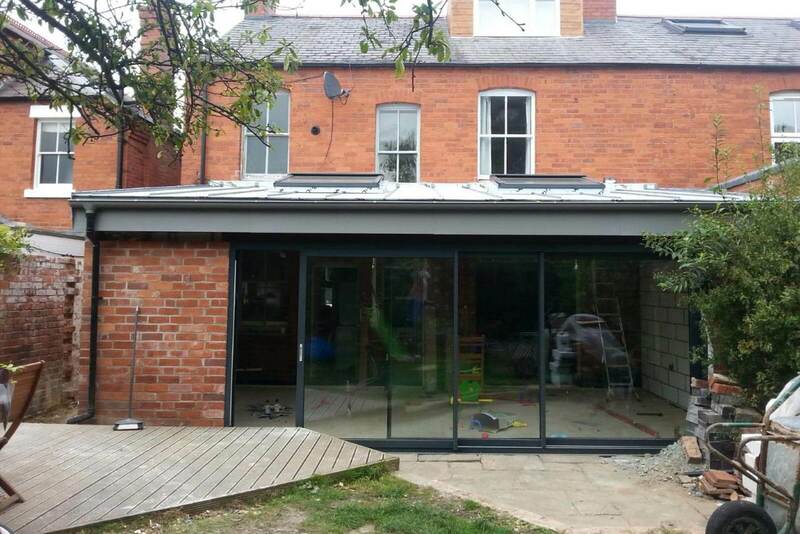 The roof finish with gun metal grey facia and the large sliding glazed doors give it a contemporary finish.